INeedAFundraiser.com - Fundraising opportunity for schools, churches, clubs and more! Exciting, great tasting and PERFECT for any fundraiser or benefit - Churches, Clubs, Schools, Individual or Family benefits and more! Who doesn't enjoy good beef jerky? This isn't the packaged stuff, either. 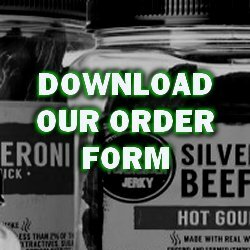 We have jars of beef jerky - round silver dollars that families will enjoy for a good, healthy snack! Our beef jerky is made in the U.S.A., has no trans-fat and is a very lean jerky with excellent taste! If you need a copy of our generic order form, you can DOWNLOAD IT HERE. INeedAFundraiser.com is proud to introduce its latest line of fundraising product. 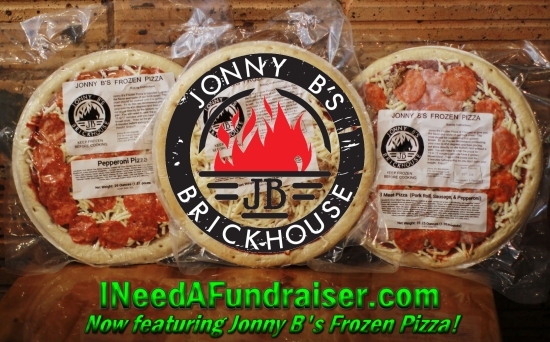 Jonny B's Frozen Pizza is now available for YOUR fundraiser! Jonny B's Frozen Pizza is handmade in Jamestown, North Dakota - and is ALREADY in high demand! To learn more about adding a delicious slice to YOUR fundraiser, CLICK HERE!